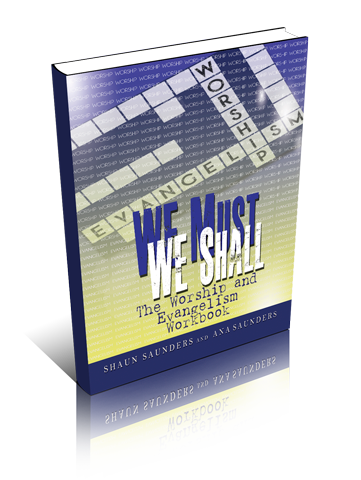 “WE Must, WE Shall” explores the intimate union between worship and evangelism. You can’t have one without the other, and we can’t honor the greatest commandment if we aren’t equally invested in both our worship and our witness. The two are a trustworthy team. A consecrated couple. Every worshipper must evangelize and every evangelist must worship. This workbook will usher in a better day for intentional worship and effective evangelism. By presenting new opportunities for worship, and clever ways to evangelize, you will gain the confidence you need to speak to strangers and the awareness you need so that God never becomes a stranger to you!